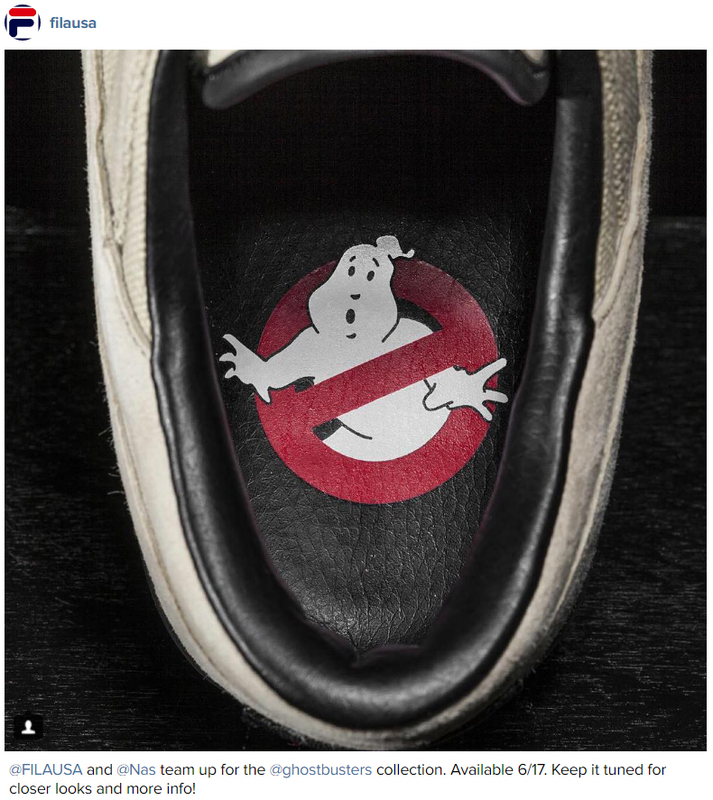 Another silhouette in the @Nas x @FILAUSA x @Ghostbusters collection is the T-1 Mid. FILA put a clean spin on the T-1 Mid, which is dressed in black premium suede upper with a rich leather sock liner. The pair sits atop a completely glow-in-the-dark midsole/outsole. Just wait till you see that feature in person! || Available 6/17 - Stay tuned for more release info. The @Nas x @FILAUSA x @Ghostbusters collection is anchored by Original Fitness. Stay tuned for more info on 6/17 release.